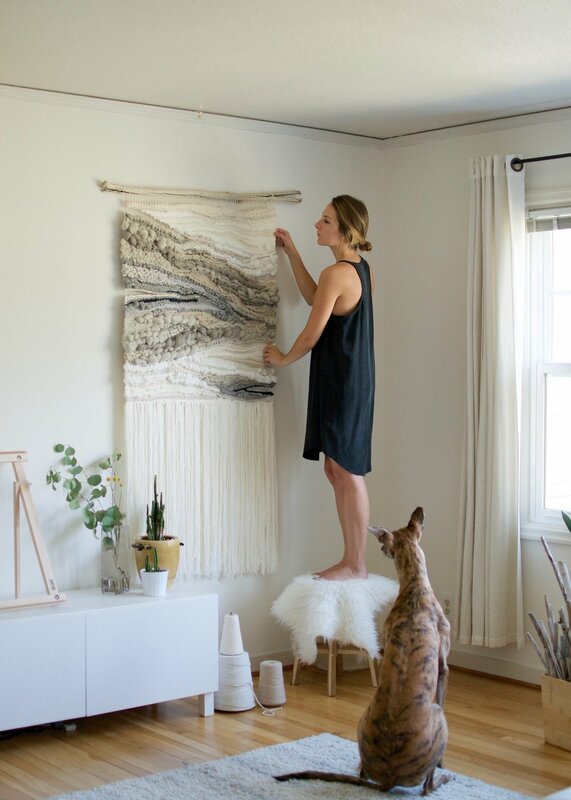 Part architectural designer, part fiber artist. Living in Portland, Oregon, I've learned what it's like to chase landscapes, beautiful moments and immerse myself in the beauty of the Pacific Northwest. I'm surrounded by amazing people, craft, design, and ambition. I think of my loom as a way to translate these integral aspects of life into fiber design and explore this woven lifestyle I so deeply love. Most of my work is centered around story-based woven tapestries, derived from the beautiful people that commission them. My woven pieces have contained memories, inspirations, aspirations, and feelings. My daily work as an architectural designer has helped mold my understanding for refined design with play - I find that the best ideas are found through process and exploration. In this I find the most interest in experimental textile manipulation centered around t e x t u r e - at many scales. For this reason, I release a collection every year based around my current ideas, inspiration and what's happening in the periphery of my life. Wanna collaborate? Wanna chat? Feel free to contact me - I'd love to have a conversation!